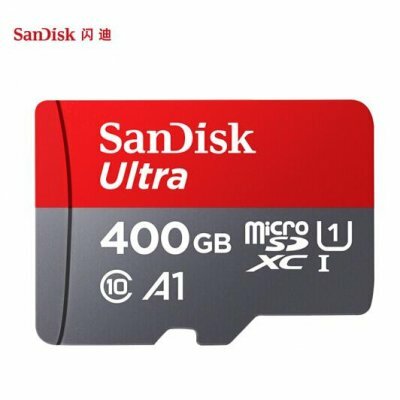 Successfully Added SanDisk Ultra MicroSD Card 400GB Memory Card to your Shopping Cart. Up to 98 MB/s read speed, write speed is a bit lower than 98MB/S. U1 A1 Read/Write Speed for high performance. Capacity of 16GB 32GB 64GB 128GB 200G 256G 400G for choice. Wide application for use, mobil phone, cameras, digital SLR and so on. Compatible with all microSDHC, microSDXC supporting host devices. The SanDisk Ultra micro SDXC UHS-I card is perfect for recording and watching Full HD video, with room for even more hours of video. Transfer speeds of up to 100MB/s (64GB-400GB only) ensure that you can move all your content fast - up to 1200 photos in just one minute. Ideal for smartphones and tablets, this card’s A1 rating means that you can load apps faster too. With a breakthrough capacity of up to 400GB for choice, you can store even more hours of Full HD video on the card without worrying about running out of room for the videos, photos, music, movies and other files you want to shoot, save and share. Blazing transfer speeds mean that your content moves fast, letting you move up to 1200 photos in a minute. Dependable high speed Class 10 speed rating for shooting Full HD (1080p) video and high quality photos. SanDisk products are constructed to the highest standards and rigorously tested. 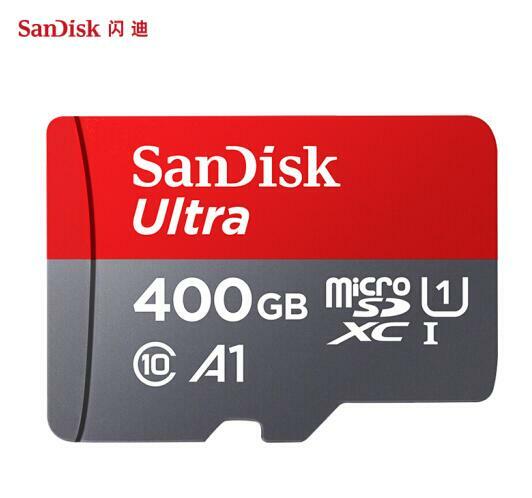 You can be confident in the outstanding quality, performance and reliability of every SanDisk product. Please chose your required storage capacity.